For a long weekend of pure bliss and relaxation, there is no better destination than the spa. A setting of tranquility and calm, it’s the perfect way to unwind from the stresses of daily life. Drift away from your worries and experience pure indulgence for a couple of days, and feel the benefits! Now you might think a spa is a spa, but it’s the individual features, design and décor that separate the luxury getaways from the standard breaks. Want to stay somewhere that’s a cut above the rest? Of course you do! Check out these stunning spa retreats from around the globe where luxury and first class care is guaranteed. This tropical paradise in the Caribbean is a truly stunning spa retreat, often referred to as the ‘spiritual heart’ of St. Lucia. 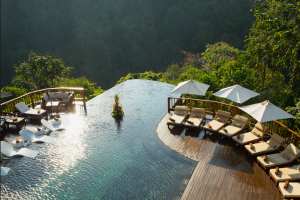 The lush green surroundings make for a natural landscape at this world class rainforest spa. With spectacular views, this island makes for the perfect backdrop for your spa getaway. The spa offers a range of signature range of treatments harnessing the nourishing properties of local cocoa plantations and volcanic springs. Enjoy your relaxing treatment in one of the retreats traditionally built, treehouse treatment rooms. Choose from a range of experiences including bamboo massage, hot rock therapies, salt scrubs and body wraps. 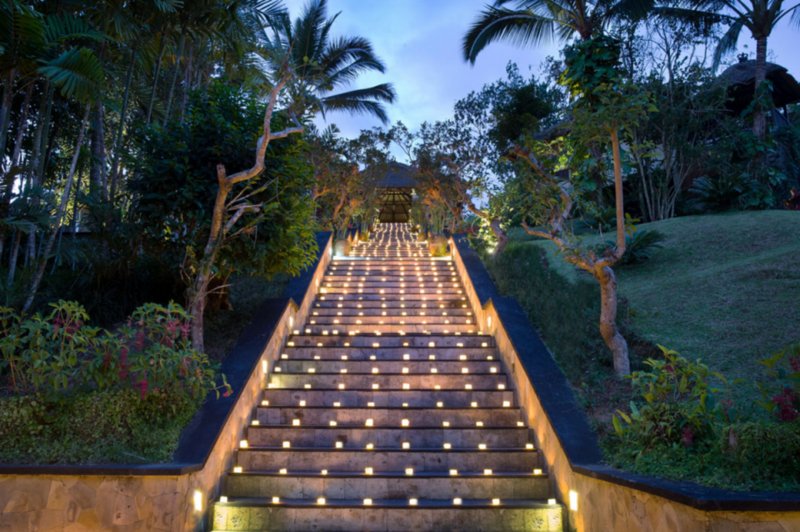 Set deep in the heart of the rich rainforest, this Bali spa is a truly unique experience offering beauty therapies and treatments to soothe the mind and energize the soul. For the ultimate luxurious experience, the Royal Spa Suite offers an exclusive area located by the river Ayung. You can truly immerse yourself in the natural surroundings and clock out from your worries and usual daily life. Instead, relax and pamper yourself in this unique, exotic atmosphere. Described by Condé Nast Traveler as a “little piece of heaven,” you just know this spa is going to impress. This all-inclusive luxury resort is based in the Texas countryside and offers a sanctuary for health, rest and renewal. 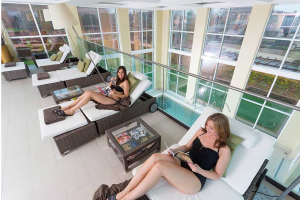 In addition, the spa facilities offer daily activities such as meditation, fitness classes, aqua boot camps and yoga. Complement your stay with one of the resort’s best accommodation packages (the hot tub cabins sound blissful!). This spa based in England is every bit as beautiful as you would imagine, given its green, rural setting. Located in the heart of the Suffolk countryside, the spa itself is housed in a stunning Georgian-style building surrounded by luscious green grass. With an impressive hydrotherapy pool, decadent lounge room and various heat experiences, you won’t be short of places to relax. The spa is also home to a four-star hotel with an award-winning restaurant. Or breathe in the fresh unpolluted air as you enjoy the spa’s rooftop hot tub and look up at the stars. This hotel and spa is also in close proximity to the famous university town of Cambridge, which is well worth a visit! One word can be used to describe this Moroccan spa, and that is “serene.” The all-white décor is simply heavenly, and you will glide across the marble floors as you enter. 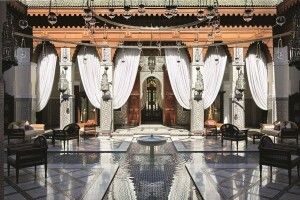 Situated in Marrakesh, this spa combines traditional Moroccan style décor but with a contemporary twist. Enjoy the spa’s many standout features, including the beautiful Hammam (Turkish bath) or the Royal Mansour’s signature bathing treatment. This spa also holds regular classes in aqua aerobics, Pilates and muscle-toning (that’s if you can tear yourself away from the sauna!). This Parisian spa is as regal as they come. Renowned as the most luxurious spa in Paris, it’s well worth a visit if you ever find yourself in the capital of romance. Situated just off the Champs-Elysées, this is the perfect retreat if you want to escape from the hustle and bustle of the city. Inspired by Marie Antoinette’s beauty regimen at Versailles, the spa’s signature treatments are often infused with her favorite scent, orange blossom. There’s also an onsite salon too — handy if you’re due for a trim or to treat yourself to a luxury blow-dry!